Let’s start off with what a Citation really is. 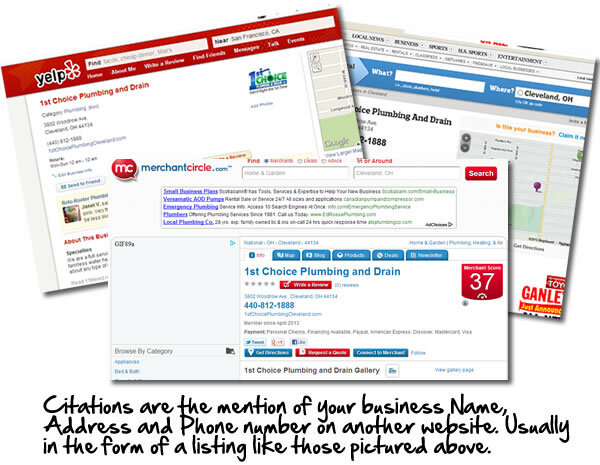 Citations in the Search Engine world could be considered “mentions” of your business NAP (Name, Address and Phone) on other important webpages such as trade specific directories, local business directories, consumer review websites and more. A citation still counts for your business even if there is no link to your website. Just the mention of your business name, address and phone number is enough to garner a citation for your business. Any local organizations you support. So to recap, a citation is just the mere mention of your business Name, Address and Phone number somewhere on the world wide web. So What Do Citations Really Do For Your Business? Acquiring and monitoring your own Citations along with your competitors citations is a key element of a successful online marketing campaign. 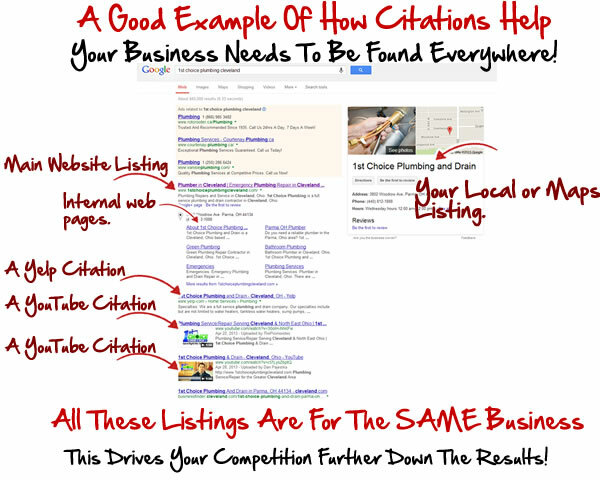 Businesses that have lots of citations generally rank higher than businesses that have very few or even none. The more established the website is that you’ve garnered the citation from (chamber of commerce for example) then the more weight it is given in terms of Search Engine Optimization and the more certainty the Search Engines have about your business locality, which translates into stronger local rankings. Another benefit to acquiring citations is that they provide outlets for your customers to provide feedback and reviews about your company. Positive reviews your customers may post on these citation websites also benefit your local search rank and are definitely worth having. This brings however, brings about a series of new issues called reputation management and you’ll want to make sure you don’t have bad reviews out there, and if you do they are taken care of quickly so they can be resolved. The team at Sites4Contractors.Com uses specialized tools that search the web to find all of your current citations. Then we search for your top locally ranked competitors citations and we sort out the list from top to bottom to find the most authoritative and important citations from their list. With this kind of information we literally have a roadmap to follow to get your website a strong local ranking. There is a little more to a strong local ranking than citations alone, but they play a big part in the grand scheme of things and it’s not something you want to ignore.